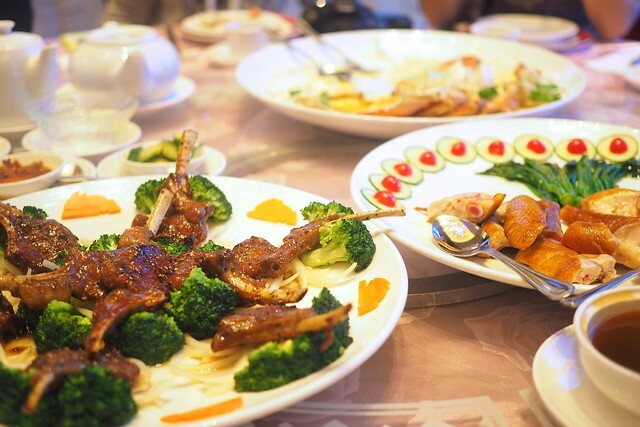 Richmond—(June 25, 2014) After a long hiatus, ChineseBites and their signature dining tours have returned. 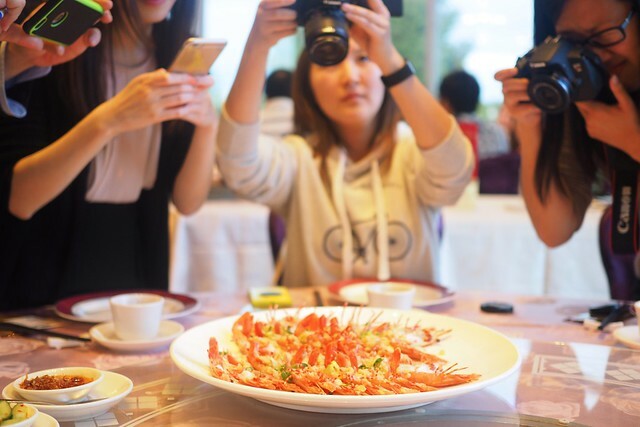 After a few dinners at other Asian and Chinese style eateries, we returned for another multi-course Chinese banquet style dinner at Shiang Garden Seafood Restaurant among the company of local foodies. We started off with a fairly standard sautéed mixed seafood medley dish (above) after a pleasing prawn salad served in a halved papaya. I really enjoyed the Tremella with chicken and crab meat soup for its tasty broth and light flavour. 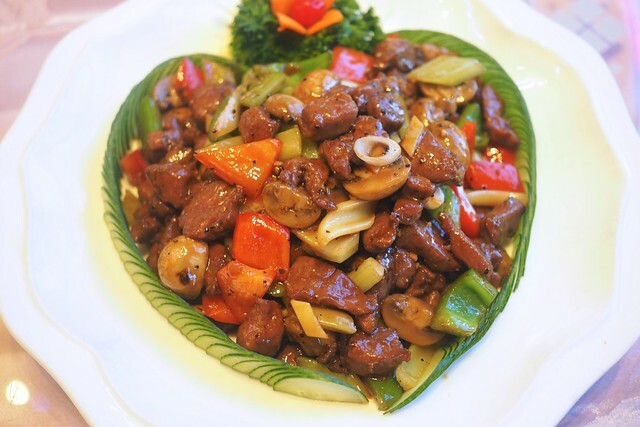 The diced beef tenderloin (with honey and peppers) was one of the more well-served and presented dishes. It was just as tasty to snack on in its hearty chunks as it was attractive to look at. The BC Dungeness crab (in white wine sauce) was good but mildly underwhelming compared to all the other, more inventive seafood dishes (scroll down). It did the trick and was served well but missed a little bite to it. I'm also usually not much for the combination of seafood and white wine flavouring. 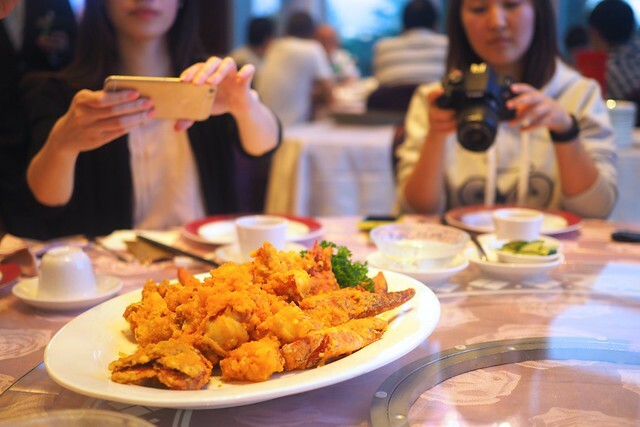 The table really fawned over the intriguing and equally tasty salted egg yolk lobster for its somewhat novel and scrumptious composition. 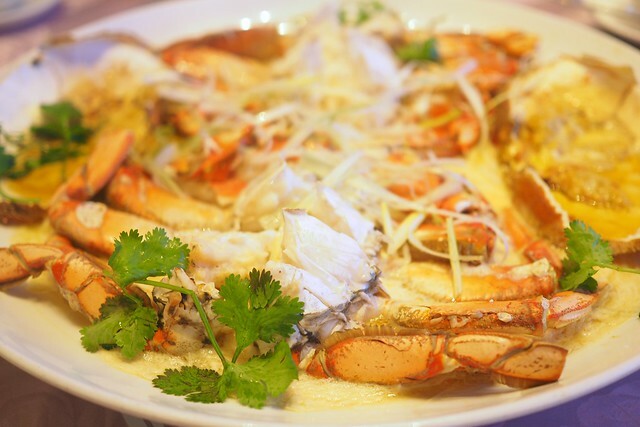 You might be a little more familiar with egg yolk batter served with crab. However, we found it quite complementary with the lobster meat. 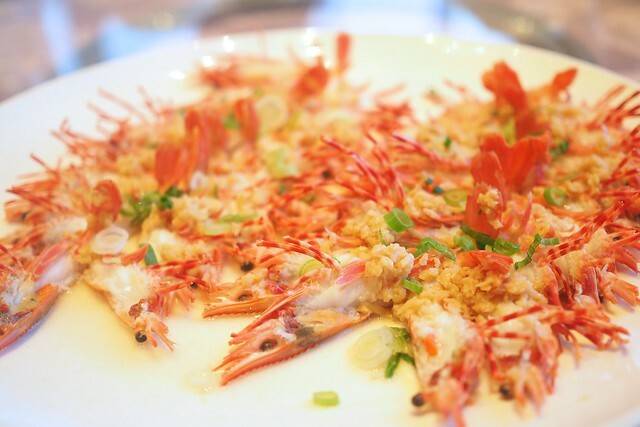 The steamed spot prawns (butterflied and drenched in garlic) were quite appealing and delightfully delicious. It tasted pretty much as it looks, lean and full of garlic. 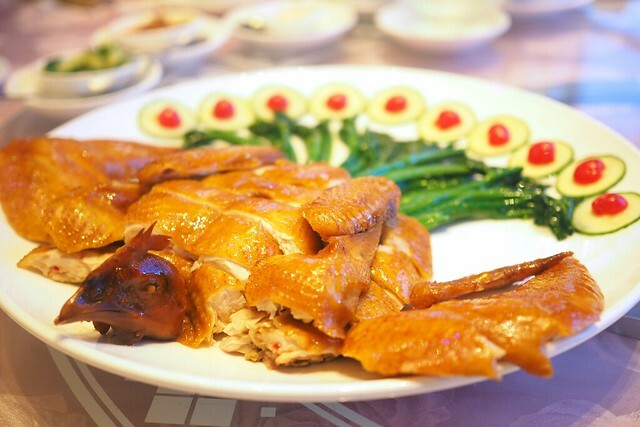 For fish, the Enping style whole tilapia was your fairly standard fish dish in soy sauce. We were a little unimpressed by the lamb chop (with honey and pepper) for being overly tender and lacking the usual lamb kick or flavour. We felt similarly for the specialty layer pork belly (with bok choy) and its bland, predictable quality. I very much liked their version of the staple whole chicken (in abalone sauce) for its simple yet still very comforting, well-cooked taste. Overall and over all the many dishes, I was fairly impressed by the variety and different styles of preparation for all the different meats. 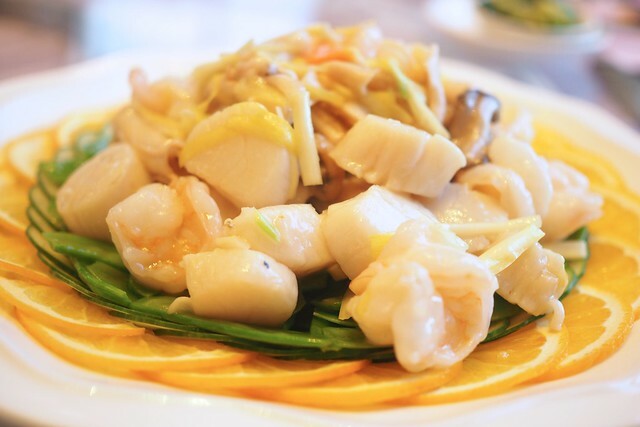 Shiang Garden has a fairly deep menu of dishes all available to be ordered right off the menu at your table. 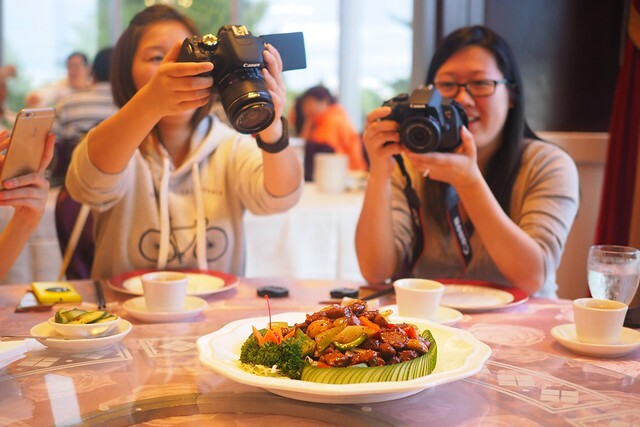 I recommend a combination of some of the more daring, speciality ones with a few well done Chinese standards. I can also see why they are a popular choice for weddings.